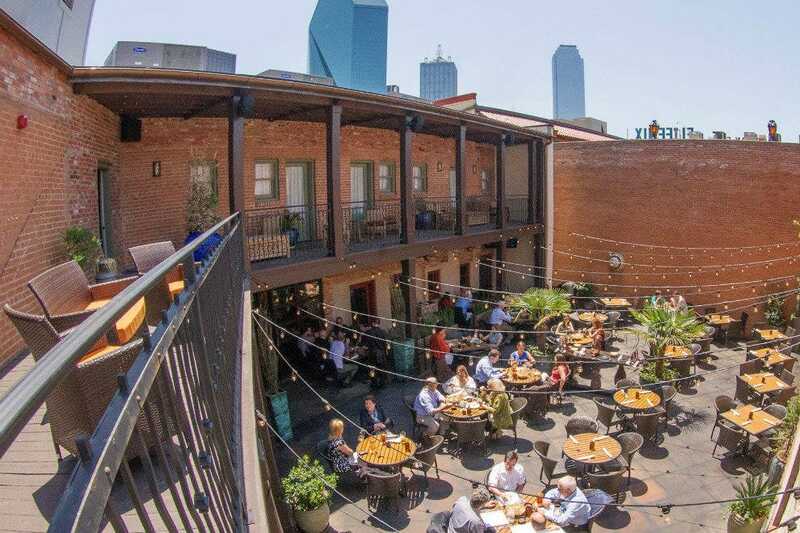 Not only is Dallas' revamped downtown area a haven for world-class art and culture, but it's also a dining destination for many of the city's top-notch restaurants run by nationally acclaimed chefs. 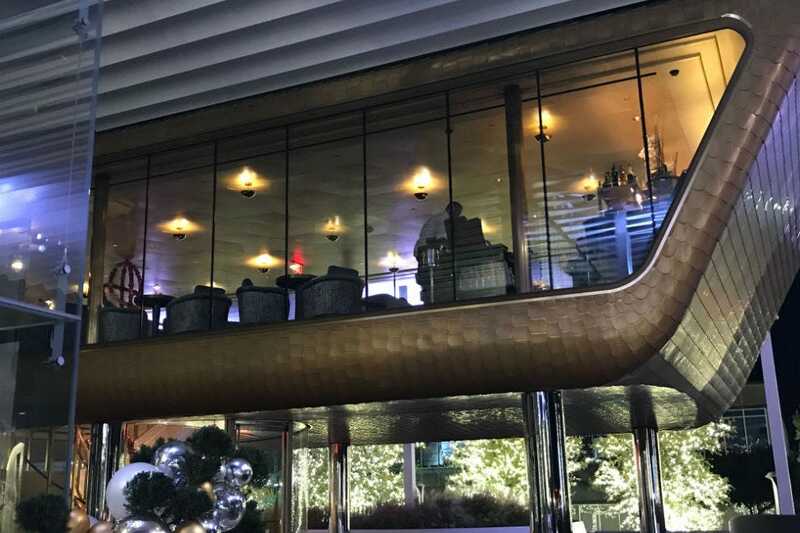 In the former Belo building, you'll find Bullion, a glamorous French brasserie by Michelin Star-awarded chef Bruno Davaillon. 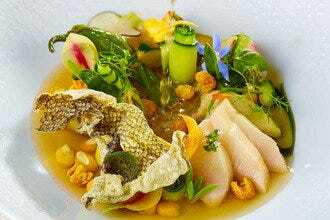 There also celebrity chef Dean Fearing's namesake restaurant in the posh Ritz Carlton Hotel. 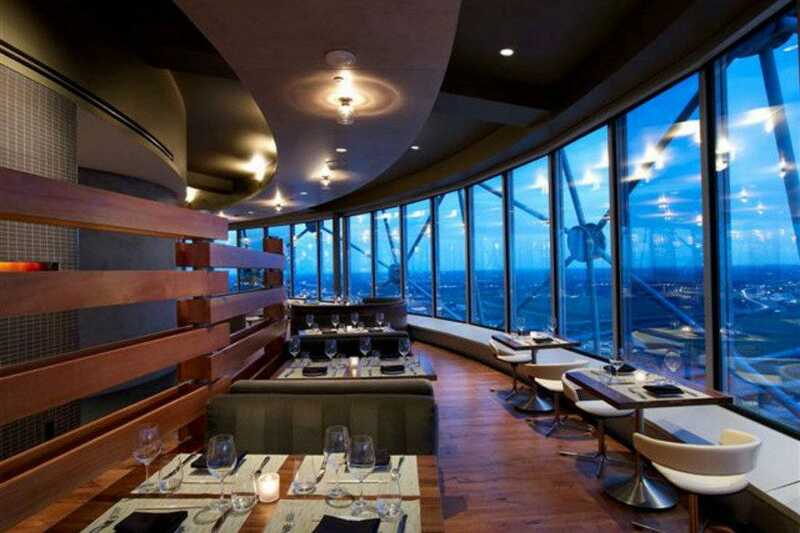 And up in the iconic Reunion Tower sits Wolfgang Puck's Pan-Asian eatery, Five Sixty. 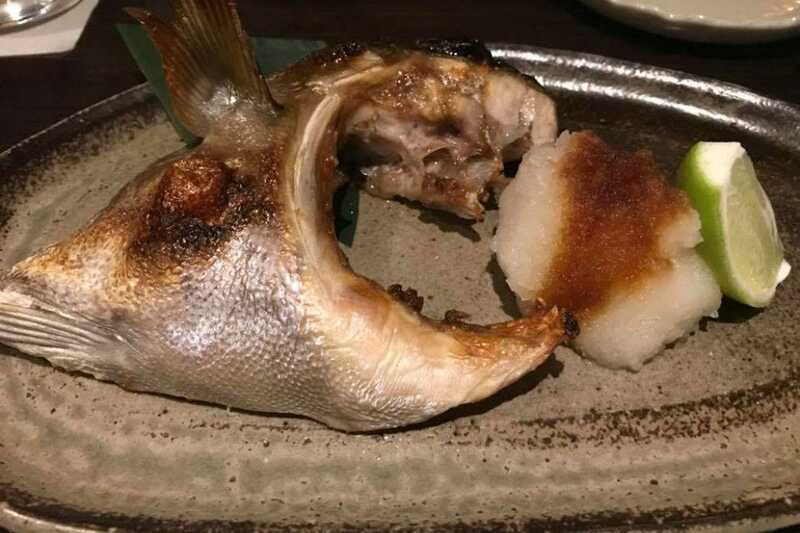 Oh, and speaking of Asian, if it's sushi and innovative Japanese dishes you're looking for, it really doesn't get any better than at Tei-An, acclaimed Dallas chef Teiichi Sakurai’s Arts District gem. Did we mention there's a stellar rooftop lounge here? But hold on, there's more. Scroll on for the complete list. We're sure you will find plenty of options that tick all the right boxes. Fancy a pint and a plate of fish and chips? Then you're in luck. A bit of Ireland has taken up residence on the ground floor of the historic Mercantile Building near Main Street Gardens. Owned and operated by Dublin native Alan Kearney, this wood-clad neighborhood tavern rocks a menu filled with traditional Emerald Isle favorites and then some. 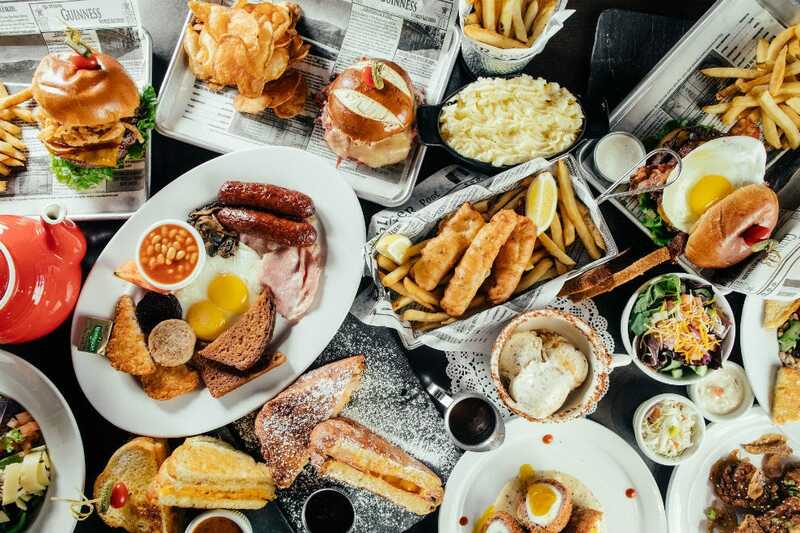 Find everything from scotch eggs, shepherd's pie and Irish stew to a host of salads, sandwiches and burgers. And the drink selection is nothing to scoff at either: there's over 200 types of whiskey plus craft beers, wine, cocktails and coffees. Keep an eye out for live music, nightly drink specials and weekend brunch. This favorite West End eatery is a classic for big plates of hearty comfort-food standards, ranging from fried chicken and chicken fried steak to sandwiches, salads and burgers. 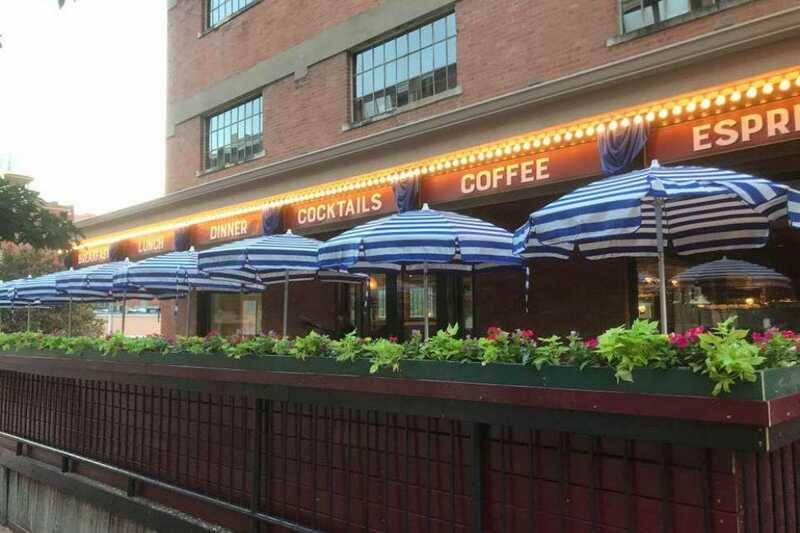 But the thing Ellen's is most famous for is grits (the restaurant's motto is "Grits Rule"), which are served every which way, from cheesy Cajun shrimp grits to deep fried grits, and even eggs Benedict grits. And what's not to like about a restaurant that serves breakfast at all hours of the day? Better still, most everything on the menu can be had for under $20. Expect to find a crowd on weekends. Sure, they've got terrific enchiladas and tacos here, but this colorful cantina's specialty is updated takes on classics from the regions of Central and Southern Mexico. We're talking cochinita pibil (a Yucatan-style pork dish braised in citrus and achiote); Oaxacan moles; and Budin Azteca, a multilayered tortilla casserole that's similar to lasagna. Speaking of tacos, there's a taco-to-go window (La Ventana) adjacent to the restaurant's courtyard that serves burritos, quesadillas, salads and tacos loaded with everything from chunks of braised pork to beef tongue. Did we mention that they crank out awesome margaritas too? Named for the Central Business District for where it stands, this perennially popular all-day brasserie in the Joule hotel wins fans for its modern American, farm-to-table fare served in a rustically appealing space. 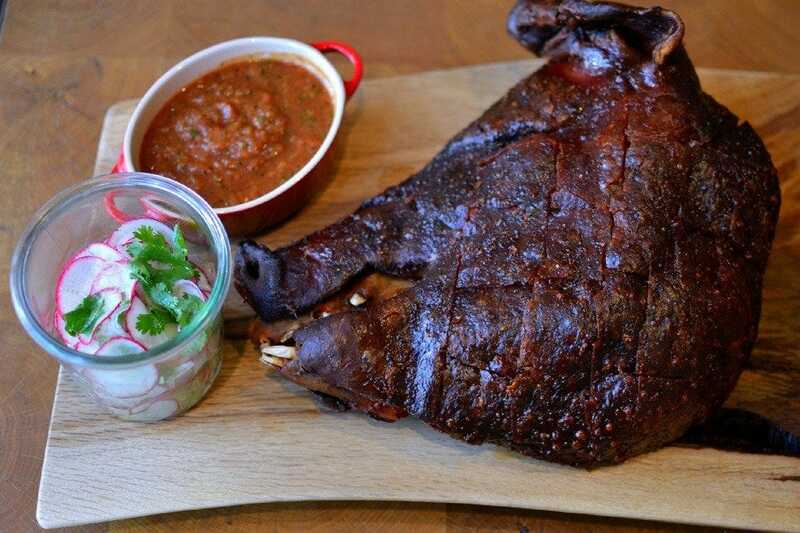 Most, if not all the plates here are for sharing, from charcuterie boards to steaks to roasted pig's head carnitas. Cocktails, created by acclaimed bartenders Chad Solomon and Christy Pope are also a highlight. Speaking of cocktails: don't leave without an after-dinner drink at the subterranean cocktail den (Midnight Rambler) tucked away in the basement of the hotel. Keep this place on the list for breakfast and weekend brunch too. 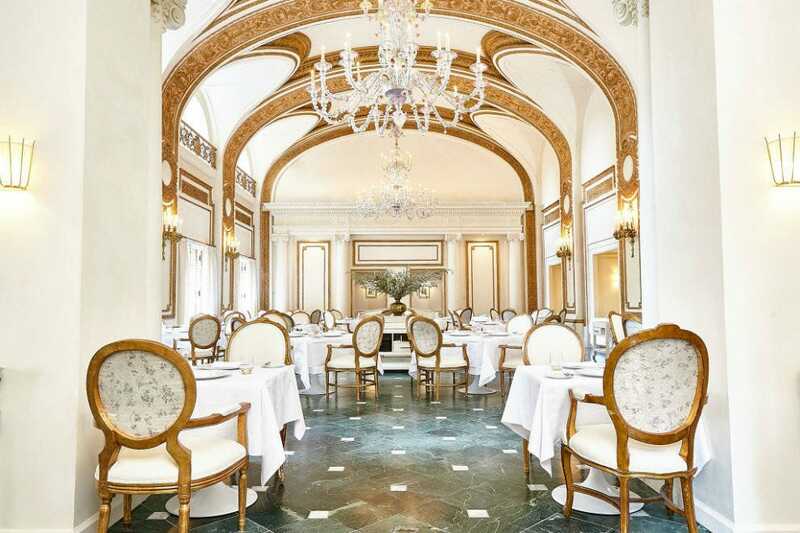 Fresh off a recent multi-million-dollar makeover, the storied French Room, which opened with the Adolphus hotel in 1912, has once again regained its status as one of Dallas' finest dining experiences. The surrounds are still opulent, the service is still smooth as Bearnaise and the menu is everything you'd expect a restaurant of this caliber to be. Expect to find a seasonally changing a la carte menu filled with the likes of foie gras torchon, veal sweetbreads, dry-aged rib eyes and Long Island duck. 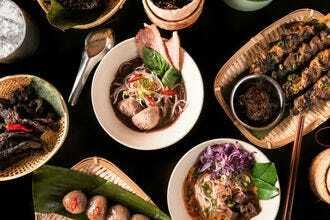 For those who want to go all out, there's also a five-course tasting menu going at $135 a pop. Reunion Tower is Dallas' most iconic landmark and Wolfgang Puck's Five Sixty restaurant resides at the top (560 feet up) of its glittering orb. 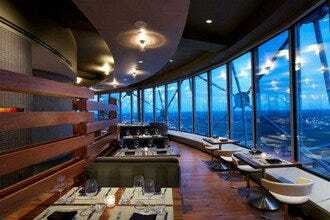 The revolving restaurant is a destination for the setting alone. And the modern Asian menu only adds to the draw. 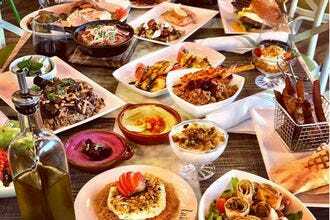 Expect to find everything from sashimi and sushi to Wagyu brisket pot stickers, tamarind glazed baby back ribs and Mongolian-style Colorado lamb chops. Don't even get us started on the desserts. 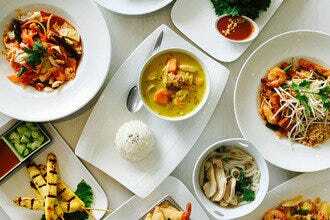 Can't decide what to order? No worries, there's a variety of prix fixe tasting menus to choose from too. Pro-tip: Come in time for sunset and score terrific happy hour deals (5-7 p.m., Monday-Thursday) at the same time. 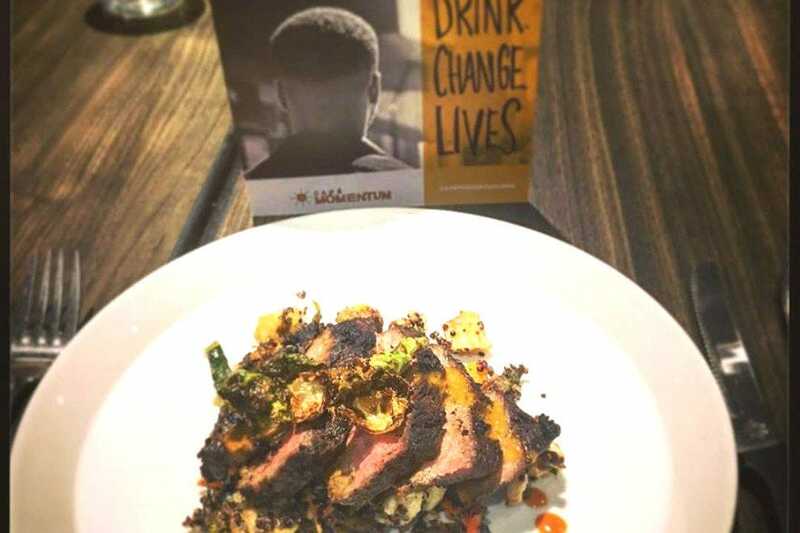 From its start, Cafe Momentum has had all the makings of a great restaurant: a relaxed ambiance, reasonable pricing, and innovative, delicious food. But above all, this place doubles as a nonprofit that provides culinary training to at-risk youth. Though the seasonal menu is constantly rotating, expect to find house-made charcuterie as well as items like duck confit with blueberry-habanero jam, smoked fried chicken with all the fixings and coffee-rubbed, locally sourced NY strip. To drink, there's a strong list of wine starting at $20 a bottle and a terrific selection of craft beer. Oh, and because the staff is paid a living wage, any tip you wish to leave will be considered a donation to the restaurant's mission. 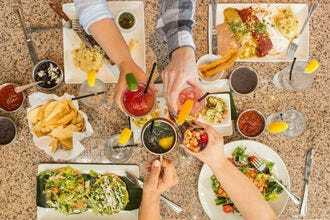 More than a decade in, celebrity chef Dean Fearing's eponymous restaurant in the swanky Uptown Ritz Carlton remains a consistent favorite with its sophisticated (yet unpretentious) vibe and locally sourced, modern Southwestern cuisine. 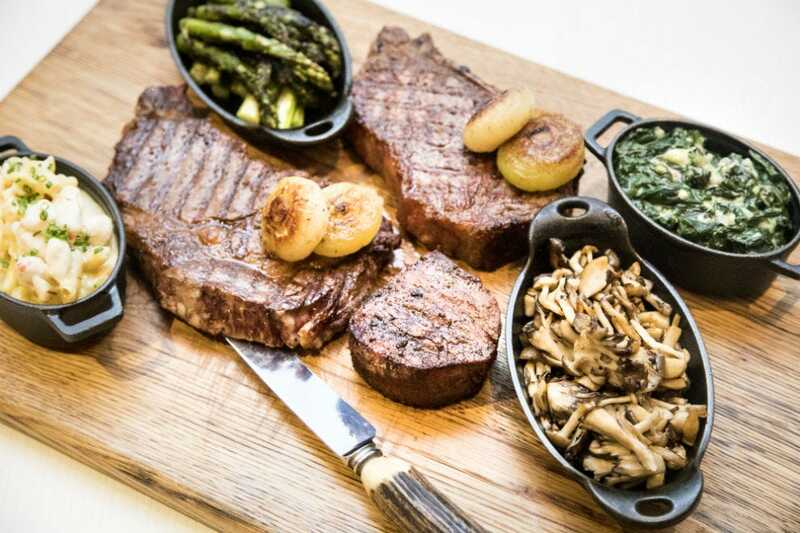 The menu shuffles often, but expect to see things like barbecue shrimp tacos; chicken fried quail; glazed antelope; and some of the tastiest Texas Wagyu-Angus steaks in town. Pro tip: snag a seat in Dean's kitchen where you can have a ringside view of the action and perhaps a chat with the exuberant Fearing himself. Save space for the banana pudding tart or anything chocolate. 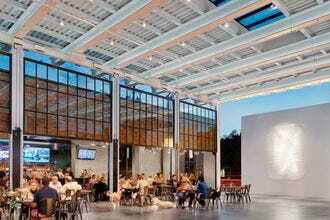 Acclaimed Dallas chef Teiichi Sakurai's Arts District gem is regularly billed as one of the best Japanese restaurants in Dallas. And for good reason. The attention to detail that goes into every dish is extraordinary, the service is always top-notch, and the food is nothing short of spectacular. On the menu, you'll find everything from sushi, sashimi and tempura to exotic options like white seaweed salad and sea urchin-shrimp risotto. But the real specialty here is Sakurai's hand-crafted soba noodles, which are served cold or warm and come with an assortment of rich broths and sauces. 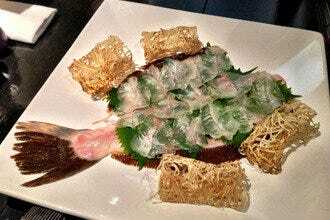 The omakase (tasting menu), while not easy on the wallet, is the best way to experience all Tei-An has to offer. Also, don't skip dessert, the soba ice cream with black honey is outstanding. Erected like a golden spaceship above the ground floor of the former Belo Building, Michelin Star-awarded chef Bruno Davaillon's glam French brasserie has been drawing crowds since opening its doors in late 2017. Serving lunch and dinner, the seasonal menu ranges from steak frites and croque monsieurs for lunch to canard a l'orange and venison with poached pears at dinner. To complement the dishes, Bullion offers a terrific and affordable all-French wine list and an assortment of French-inspired cocktails as well. Speaking of libations: sharing plates over drinks in the stylish bar is also a good option. Don't overlook the mille-feuille with dulce de leche for dessert.